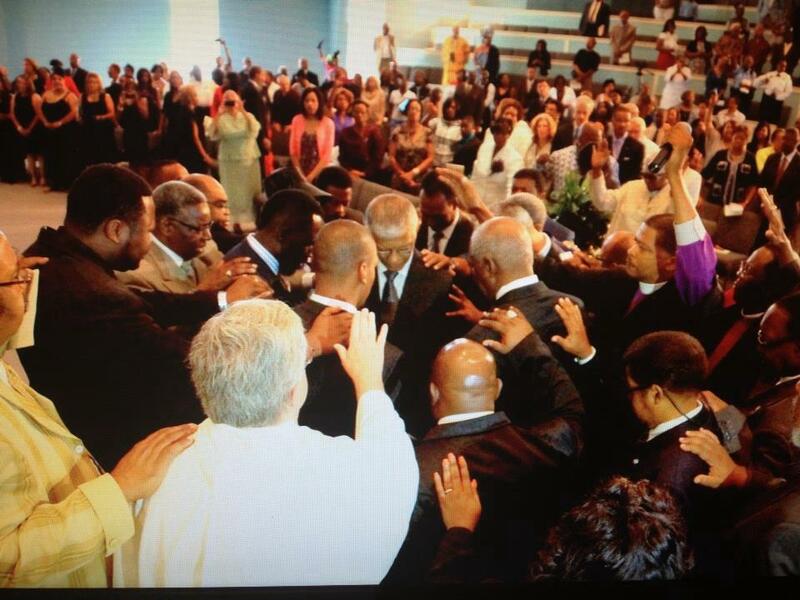 We thank You for the life and legacy of our gifted hunter, Mayor Chokwe Lumumba. A family has lost a father. A city has lost a champion. As we mourn his passing, we honor You for granting him a vision for a world that’s free and just for everyone. We thank You thank that in his own ways he reminded us all that the arc of the moral universe is long and bends toward justice. May his living and his loving not be in vain. Be with Rukia, Antar and the rest of the Lumumba tribe. Uphold them in their time of great grief, for they trust in the power of prayer. And be with this great city, our city, who has lost a giant. Bless now Acting Mayor Charles Tillman and the City Council as they prepare for a special election at such a sullen time. Stand with Mayor Lumumba’s administrative team, city employees, and all who work for a better Jackson everyday as difficult transitions take place. And bless our dear citizens who looked to Mayor Lumumba with great hope and who believe hope died with him. Rally their strength, grant us all resilience and vision, and may we all move forward aware of our shared destiny as a people and as a City. Bless Jackson like only You can. Thursday, February 13, the Historic Mt Helm Baptist Church hosted the groundbreaking ceremonies for Helm Place, a residential development that will boast 88 market rate townhouses. For roughly three decades, the area that surrounds Jackson’s oldest historically black congregation has been blighted. Homes where doctors and lawyers once lived now look like haunted houses. The streets, once populated by children playing, are crumbling and empty. 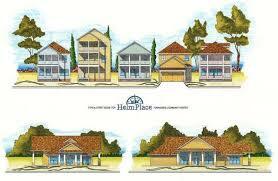 The hopes of many of Mt Helm’s members is that Helm Place will bring long awaited and much needed community back to that section of the Historic Farish Street District. I pray that it will. 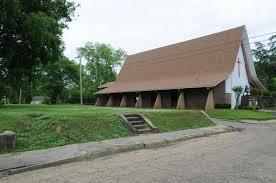 I was pastoring Mt Helm when City officials approached the church with the project that was originally slated for the Jackson State University area. The controversial development and its developers, Chartre Companies, was resisted by many West Jackson community leaders. But then Mayor Harvey Johnson and later Mayor Chokwe Lumumba believed in what these potential houses could do for the capital city and inquired about moving the project to the Farish Street District. Maybe that belief is what led them to negotiate with a house of faith. I was admittedly reluctant about it at first. To be sure, I knew Mt Helm had a missional obligation to lead revitalization beyond its four walls, even as it had a spiritual obligation to support revival and reform within the four walls. I just wasn’t sure if this company and strategy were the best fit for our needs and priorities. As always, I shared this information with members of the Joint Board, the deliberating body for the church. Almost all of the deacons, deaconesses, and trustees that compose that board agreed that this was the best thing to do and wanted to bring it to the congregation for further decision making. Though there were some who objected for reasons good, bad, and indifferent, the majority of members joyously wanted the church’s leadership to move it forward. And they did. That was about a year ago. Many weeks of negotiations, delays, revisions, and the like ensued between that time and now. But the groundbreaking Thursday says to the congregation and the City that Helm Place, named in the church’s honor, is indeed on the way. I was invited back to open the ceremonies with a time of worship. Hymns, responsive reading, and an invocation marked yesterday’s event as something more than your average political gathering where elected officials exult another economic expansion. The oldest black church wanted to let the watching city and state know that it was still, first and foremost, a church. Mt Helm was filled with dignitaries for the event. Among them were former Governor William Winter, Governor Phil Bryant, and Mayor Chokwe Lumumba. I sat on the pew next to our present governor and mayor, who sat next to each and exchanged handshakes and smiles often. My biggest responsibility was to offer prayer. I want to share what you what I prayed in that sanctuary Thursday. I hope it blesses you as it did those gathered. By Your loving providence You moved upon the hearts of Thomas and Elizabeth Helm, white Presbyterians whose beneficence blessed those first black Baptists with property and for whom this Church is honorably named. By Your preserving providence, You sustained this Church in the days when hope unborn had died and in the days when the demonic powers of Jim Crow reigned supreme. Because of Your grace this Church and the Farish Street District prospered with Christian virtue and commerce and culture in spite of such evil. Now in these last days, after many years of neglect and abuse, this Church and this community are in need of revival and resurrection. So we thank You, Lord, for this this day for this moment. For by faith we believe that these houses are signs of new hope and new life. May the decline, dereliction, and dilapidation give way to better days and better things. May they and may we be built on a sure and strong foundation even as we yearn for buildings not made by human hands, eternal in the heavens. Bless Mount Helm and Helm Place and all who are gathered together today—young and old, rich and poor, black and white, Democrat and Republican. To You, O God, be the glory in the Church and community, for great things You have done and great things You shall do! In the name of our Rock, our Foundation, our Strong Tower. A January 24 Atlanta BlackStar article offered six reasons young black people are leaving the Church. Among the reasons given were socioeconomic advancements, educational attainment, and shifting views on sexual ethics. This piece has circulated highly on Facebook and has given cause for much dialog and debate about the state of the Black Church and black Millennials. Read by itself, one could be led to think that the Black Church is facing an epidemic. This assertion would be alarmist, at best. 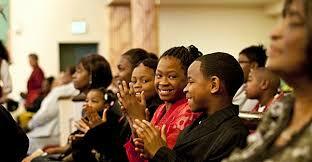 But it’s important not to isolate black Millennials from larger trends within contemporary Christianity in America. These are times of great change. Change for the better and change for the worst. Churches must have leaders like the sons of Issachar who discern the times and know what we are to do. The reality is cheap clichés about God said so-and-so won’t be enough to “contend for the faith once and for all delivered to the saints.” (Jude 1:3) And the ethical dilemmas of today can’t be resolved with a “just pray about it” dismissiveness. Ministry in the present age requires more sophistication, sensitivity, and spiritual power. And guess what? Ministry is every age has required this. What is often ignored is how in almost every generation in America there have been fears about the state of the Church and nation. The previous generation fears the decline of the next. The latter looks with suspicion at the older. And so the cycle continues. I’ve had the pleasure of ministering to people of varying generations. For three years I pastored a church who median age at the time was about 70. Most of the active members are old enough to be my grandparents! What was interesting is that many of the concerns about “young folks” were alive and well among the seasoned saints. Biblical illiteracy, no respect for authority, sexual libertarianism, idolatrous worship, and so on are often terms associated with Millennials. May I tell you that I experienced all of these (and then some) among people who have more days behind them than in front of them? Now that I’m ministering to people young enough to be my baby brother or sister in a public university setting, I certainly see many of the same things. But just like among the Baby Boomers, I also see a remnant who truly desire to worship God in Spirit and in truth. Each Sunday I lead more than a hundred students in praise, worship, prayer, and the preached Word. I have a small, dedicated group of student ministers who assist me in this work. They love God and Christ’s Church and seek to live godly lives even as every temptation seeks to seduce them. They are not perfect, but hope-filled and yearning for leaders with integrity and authenticity who will disciple them through some of the most complicated questions they have ever faced. When I counsel them, they share their testimonies of how God is making them into people after His glory. They stumble, they fall, they resist, they get up, they make all the mistakes and commit all the sins at 20 that folks make at 60. We must encourage them, love them, provide space for them to search and be found. My greatest fear is not whether black Millennials will leave the Church. It is rather whether or not churches will abandon them. I know too much about the Lord to be hopeless about this generation. I believe God is raising up some great men and women of faith who will answer the call to be in the world and not of it. And it is my prayer that they will serve the Church, and even call dying churches from death to life so that their peers and generations after them will be models of Christian virtue and witness. At least in Jackson I know a few churches with their doors and arms wide open to receive and even go after Generation Y.
I see signs of hope among them. God hasn’t given up on us. There may not be any two Mississippi politicians more different from one another than United States Congressman Bennie Thompson and Governor Phil Bryant. Thompson is a black liberal Democrat and Bryant is a white Tea Party conservative. They are on separate pages on everything from abortion to the expansion of Medicaid. During the Obama years, Thompson has proudly and vocally supported our first black President’s agenda, while Bryant has protested much in the name of states’ rights, a term that unsettles blacks who endured de jure Jim Crow. In many ways they iconize the persistent racial divide in Mississippi’s modern body politic—a divide that is cavernous, deep, and seemingly irreconcilable. Most voting blacks are Democrats; most voting whites are Republicans. And most black Democrats and white Republicans in Mississippi would say they are both Bible-believing Christians. 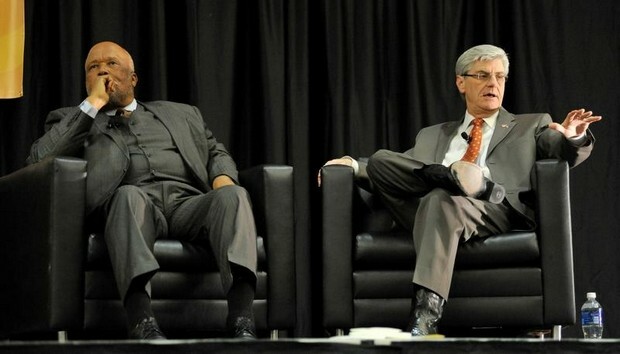 Maybe that’s why Mission Mississippi, a racial and denominational reconciliation movement, asked both gentlemen to share the stage at their 14th Annual Governor’s Prayer Luncheon. I worked for Mission Mississippi after returning to my native land following my graduation from Duke University’s Divinity School. It was there that I immersed myself in the layered and complicated worlds of our state’s Christian culture. To be sure, I long knew that there were white churches and black churches, divided more by race than by doctrine, but I hadn’t gotten up close and personal in the interracial dialogs led by Baby Boomers seeking to know each other beyond conjecture and caricature before working with Mission Mississippi. At times these conversations were frustrating because they seemed to evade the weightier matters of pervasive injustices that continue to maintain a “two Mississippis” reality. But much good has come out of Mission Mississippi’s work. One of them was creating a context where Thompson and Bryant could sit together for a while and share their stories and their religiously inspired political visions. The Congressman and the Governor made it plain in body language (they seldom spoke to each other, but to the audience) and divergent visions that they both loved Mississippi but hoped different things for its future. One could assume that though they were cordial (aren’t we Mississippians hospitable like that?) they saw each other’s visions as threats to the common good. Thompson, unapologetically liberal, talked about why it is necessary for full state support—both financial and moral—for our public schools, supporting the expansion of Medicaid, and why the Affordable Care Act were all good things to do in the name of God and government. Bryant, a Christian conservative, appealed more to a Pollyannaish version of the past and how deep cultural values about family, hard work, and God could help Mississippi rise from last to first. Both men were clear that these very distinct political visions emerged out of their faith stories, their testimonies. A lifelong Methodist, Thompson talked about how during offering time his pastor exhorted the congregation to dig deep and give cheerfully and liberally. “If I could be a liberal in my giving on Sunday,” Thompson maintained, “why couldn’t I be a liberal Monday through Saturday?” Thompson was matter of fact, not rhetorically inspiring, but defiant and assertive in a way that alone can inspire the dejected. Though Thompson intimated how his experiences in segregated Hinds County colored his way of life and vocation, Governor Bryant, a Baptist who became Methodist by “marrying in,” made clear that love of God and family and country were the bedrocks of his political vision. He averred that we should not overlook the horrors of Jim Crow but we should nevertheless praise the Lord for how far we’ve come from those dark days. Bryant has a certain evangelical eloquence that dances between preaching and stump speech, a kind of oratory that suggests he is a man of a deep and public faith that can motivate others to act in kind. As I listened to both men, men I have met on different occasions, I thought about how complicated faith and politics are, especially in a state where white and black, for the most part, still live in segregated worlds. And I thought about how I wished another politician of statewide impact could glean from both of them a cast a refreshing vision for Mississippi for younger generations. Both men may be at the pinnacles of their political aspirations. Who are the leaders of today and tomorrow who, shaped by their own stories, can move the state forward? I appreciate the unapologetic and convictional way Governor Bryant shares his Christian faith and how that influences his political decisions; I just wish that faith would lead him to different conclusions more times than not. And there were moments when I hoped that Congressman Thompson would speak more personally about the nexus of his faith and leadership. But I also liked the way he attempted to shatter the myth that to be a Christian is to be a conservative Republican, a sentiment shared by too many of Mission Mississippi’s ardent financial supporters. Alas, in doing so, Thompson also seemed to fallaciously suggest that to follow Jesus meant you had to always side with Democrats. Both men, as sincere as they were, left me wondering if they have supplanted something truly prophetic and transformative about our Christian faith in order to speak with one mind and one voice on behalf of their chosen political party affiliations. If this is true, we need a remnant who will emerge in Mississippi and who will disabuse us of our cultural captivity to partisan idols, be they on the Christian Right or the Christian Left. Maybe the most hopeful thing Governor Bryant shared was that we have to move away from thinking someone’s Christianity is measured by the totality of the political decisions they make. I’m hopeful that this means that my Christianity won’t be called into question by him or others who follow him if and when I disagree with our Governor about political decisions that have moral import on masses of Mississippians. As a convictional Christian, I have the freedom to disagree with our Governor and other conservatives on things that matter to me when I think they’re bigoted and misguided, as a matter of faith. And how hopeful it is to hear the opinionated Congressman say that we don’t have to agree in order to love the Lord. “We are equal before God and the Law, but we can have different opinions.” It’s good to know that my blackness or my being “for the people” isn’t challenged if I ever disagree with his and his followers’ strategies or politics. As a free thinking black man, I can question liberals when I think they’re wrong or duplicitous. I’m not sure if Mission Mississippi changed anyone’s mind with the conversation between these two politicos. But I’m glad I was in the room. And I’m glad they were too. *Photo is from the Clarion Ledger online.